Adams 12 is the fifth largest school district in Colorado with 5,000 employees and 39,500 students. 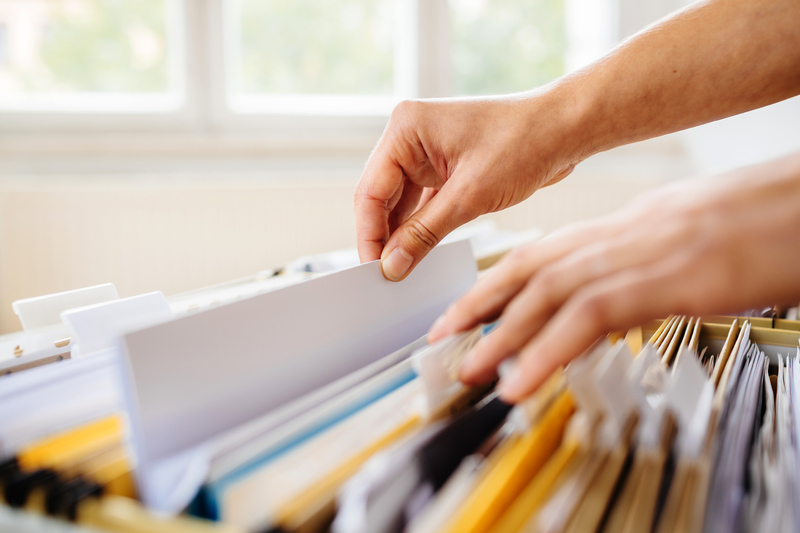 Since we have roughly 8,500 graduates and withdrawals annually, there are a large number of student records that need archiving. 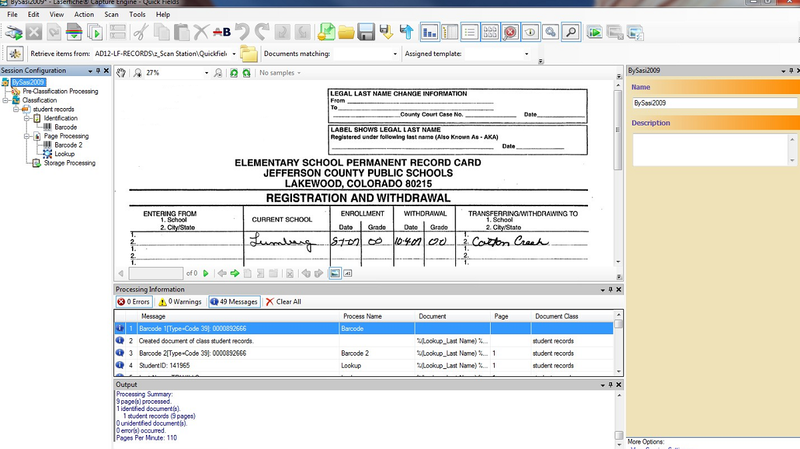 Here is how we use Laserfiche to simplify the student records process. At the district office, we keep records of students who have either graduated or withdrawn. We also handle an average of 276 requests for transcripts, employment verifications and immunization verifications a month. After the records arrive at the district office, our records technician goes through each student record and purges any documents that do not need to be retained, such as student photographs. Registrars also assist with this process before sending the documents to the district office. Once the records are organized, our records technician prints a barcode cover sheet for each set of records. 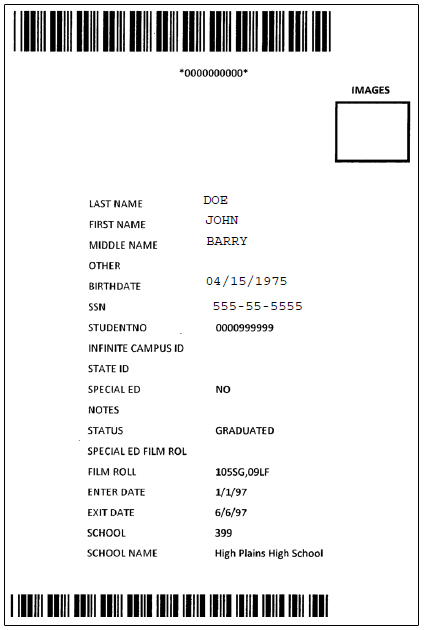 These cover sheets are printed from a Microsoft Access database that is regularly updated with data from our Infinite Campus student records system. There are two different barcodes on the sheet. The top one is from our old student records system SASI, and the bottom one from Infinite Campus, which we’ve been using since 2009. These barcodes are our way of identifying in which database the student data is stored. 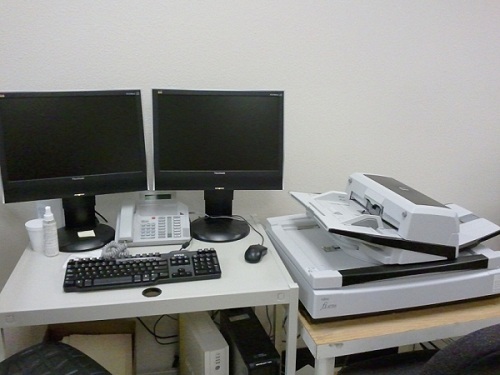 Once the cover sheets are printed, each one is appended to the corresponding documents. 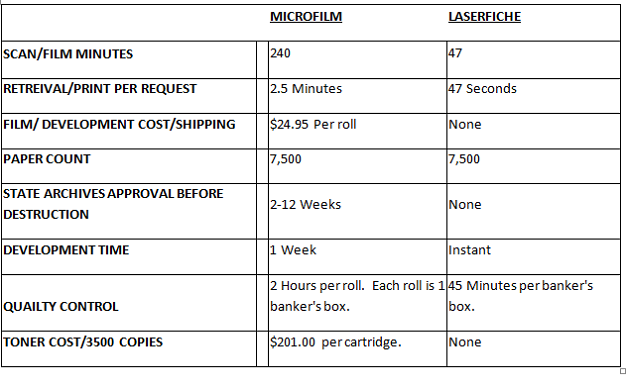 We create a batch of about 500 sheets which we run through a multi-purpose scanner (Kofax VRS) and scan directly into Laserfiche. 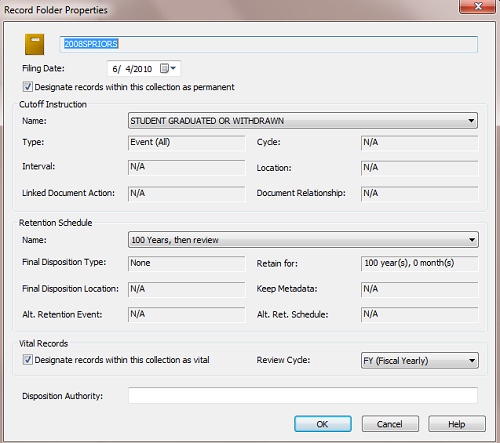 Once all the student record documents have been scanned, they are processed with Laserfiche Quick Fields. We use the Barcode process to read the student number from the barcode. This student number is then used in the Lookup process to gather the information from our student records system and populate the rest of the metadata. This prevents mistakes by reducing manual data entry. Finally, we run the OmniPage OCR process in the off hours to best utilize our time and resources. 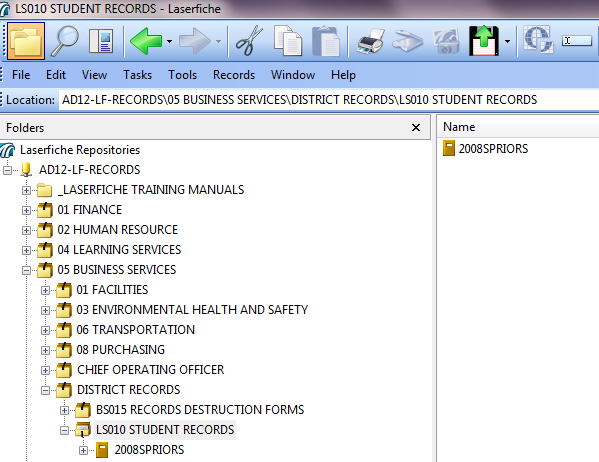 We use Laserfiche Records Management Edition to archive all of our student records. Though the records are stored permanently, I set up a retention schedule of “100 years, then review” because it is best to review these records and re-evaluate the retention against the schedule. Retrieving a transcript is now as easy as performing a search in Laserfiche on the unique Student Number.